Follow the link below to sign up for our newsletter. 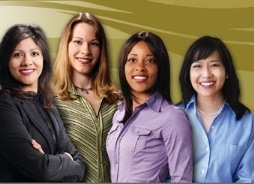 The Society of Women Engineers (SWE) is a not-for-profit educational and service organization. SWE is the driving force that establishes engineering as a highly desirable career aspiration for women. SWE empowers women to succeed and advance in those aspirations and be recognized for their life-changing contributions and achievements as engineers and leaders. SWE was founded in 1950. The Heart of Iowa section, serving Des Moines, Ames, and surrounding areas, was chartered in 1994. You can stay informed on what our section is up to by subscribing to our newsletter and "liking" us on Facebook. Links to each of these are found at the left. We also invite you to become a member of our organization. Our events rotate throughout our geographic region. We typically have one per month. We also have virtual events, such as our book club, and Society webinars. Topics include professional development, workplace diversity, educational outreach to girls, and networking. Check out our calendar to learn about upcoming events.